Metallica promised something special when they announced they'd perform at the Grammys this year, and it appears they have delivered on that promise. Lady Gaga will join the metal legends onstage this Sunday at the awards show. A Grammys commercial posted on Twitter via a Gaga fan account confirmed the duet. The news follows Gaga's crowd-pleasing Super Bowl halftime performance and the announcement of an arena tour in support of her latest album Joanne. The performnce gave the album a boost, as Billboard predicts it will find its way back into the Top 5 on the Billboard 200 next week. Lady Gaga also performed at last year's Grammys as a tribute to David Bowie. Metallica made their last Grammy's appearance in 2014 when they performed the song “One” with classical pianist Lang Lang. 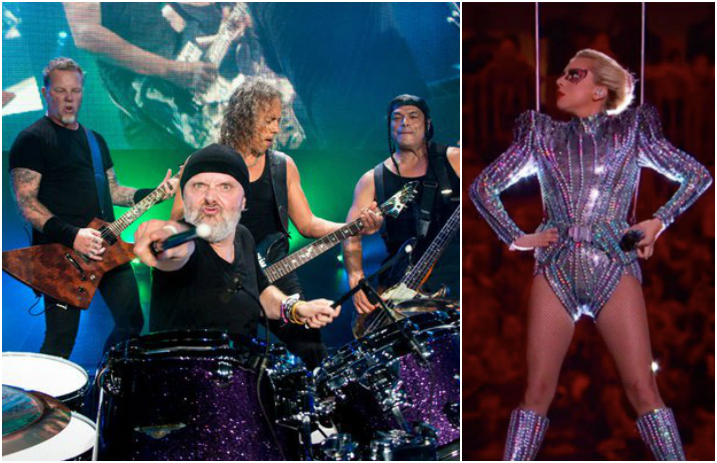 Metallica's “Hardwired” is nominated for Best Rock Song along with David Bowie, Radiohead, Twenty One Pilots and Highly Suspect. To find out who wins a coveted Grammy ans see all the performances, watch the 59th annual Grammy Awards Feb. 12 on CBS.